Speak with our experts here at Heating and Cooling Repair North Bay if you are having issues with your heating or cooling system. Our experienced technicians are able to diagnose virtually any problem quickly and accurately in order to help you restore your heating or cooling, or improve the efficiency of your HVAC system. Let us know how we can help you, and ask us any questions you have about our company, our services, or our area of service. 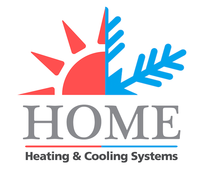 We make it a point to provide our customers with as much information as possible so that they have what they need to make informed decisions about the installation, repair, or maintenance of their HVAC system or any related components. The more you know the more confident you will be in your decision and the more satisfaction you will feel over the results. Our company makes things clear and easy to understand for our customers. We do not use complicated technical jargon, misleading information, or other tactics to pressure or confuse our customers. We believe in good old fashioned honesty and integrity when it comes to customer service and business practices. We are always available for our customers to contact if they have any concerns. We want to make sure that stressful situations can be made much less so for our customers. When you need heating and cooling repairs and installations, contact Heating and Cooling Repair North Bay by telephone or email. We can be reached 24/7 for emergency services.